SC Restrains ED From Summoning Nalini Chidrambaram In Relation To Saradha Chit Fund Case. While issuing notice on the petition filed by Nalini Chidambaram against summons issued by Enforcement Directorate(ED), the Supreme Court bench of Justice A K Sikri and Justice Ashok Bushan passed an order restraining ED from summoning her in the interim. The petition filed by Nalini Chidambaram, Senior Advocate and wife of ex-Finance Minister P Chidambaram, challenged the Madras High Court decision refusing to quash the summons issued by ED. 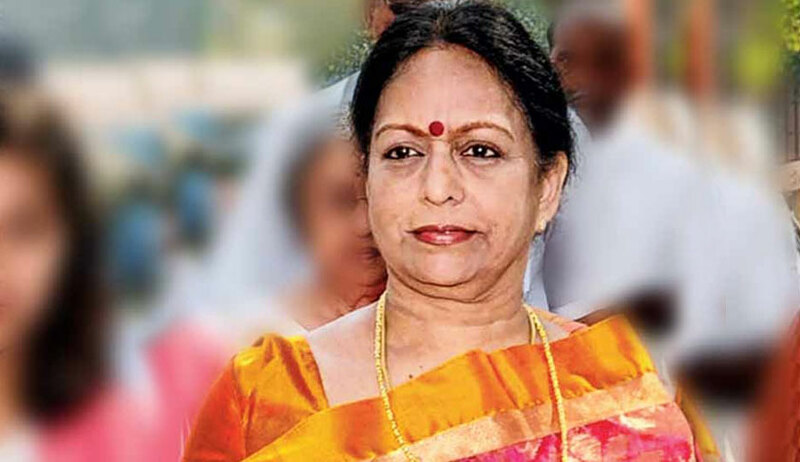 The summons issued under Section 50 of Prevention of Money Laundering Act (PMLA) required Nalini Chidambaram to appear before the authorized officer of the ED in connection with the Saradha Chit Fund Scam. The probe pertained to the payment of Rs. One Crore made by the company of Sudipta Sen, the main accused in Saradha scam to Nalini Chidambaram, which was claimed to have been received as advocate fees. On July 10, 2018, a Division Bench of the Madras High Court had dismissed the challenge against the summons. The main legal contention urged was based on Section 160 of the Code of Criminal Procedure as per which a woman cannot be compelled to appear before police. It was contended that the proceedings under PMLA Act were akin to investigation under Cr.P.C and hence the ED authorities could not summon a woman. It was further contended that the CBI investigation in Sharda Fund Scam had not revealed anything incriminatory against Nalini Chidambaram. It was pointed out that even though a supplementary charge sheet has been filed, she has not been named in that, even as a witness. The Division Bench of Justice M.M Sundresh and Justice Anand Venkatesh was not impressed by the argument that Section 160 Cr.P.C was applicable to proceedings under PMLA. The Court noted that though Section 65 of the PMLA provided for application of Cr.P.C, it is to enable the PMLA authorities to take recourse to Cr.P.C wherever PMLA was silent regarding procedure for arrest, seizure etc. But that cannot be taken to mean that PMLA authorities have to act only as per Cr.P.C. The Court also took note of Section 71, which gave PMLA an overriding effect over other statutes. It also stated that the rationale for exempting appearance of woman before police was not applicable in a proceeding under PMLA. "The object behind Section 160 of the Criminal Procedure Code is not to expose a woman to the environment surrounding police station which will certainly not be available in a proceeding by way of an investigation under Act 15 of 2003. The summons that were issued by the competent authority under the Act was in exercise of powers conferred on the authority under Section 50 of the Act. There is no necessity to meet the requirements of the proviso to Section 160 of the Code of Criminal Procedure since an independent power has been conferred on the authority under Section 50 of the Act. Wherever the Act itself stipulates the specific power, authority and procedure, there is no requirement to read the provisions of Code of Criminal Procedure into it. In fact, the most harmonious manner in which both the enactments can be parallely invoked would be to ensure that the provisions of Code of Criminal Procedure are not read into or invoked wherever the Act itself specifically provides for the same". The arguments regarding malice and bias were unsuccessful in moving the Court. The Court noted that the appellant had appeared before the ED through authorized agent earlier. She had not challenged the summons then. It may be noted that earlier a single judge, Justice S.M Subramaniam, had dismissed the petition stating “there was no absolute bar in summoning an aged woman before Enforcement Directorate”. Concurring with the Single Judge's view, the Division Bench dismissed the appeal. This has been challenged before the Supreme Court in the present Special Leave Petition filed by Nalini Chidambaram.